Jaffa Café is a Mediterranean restaurant with three locations in SLO County, in Arroyo Grande, Paso Robles, and San Luis Obispo. 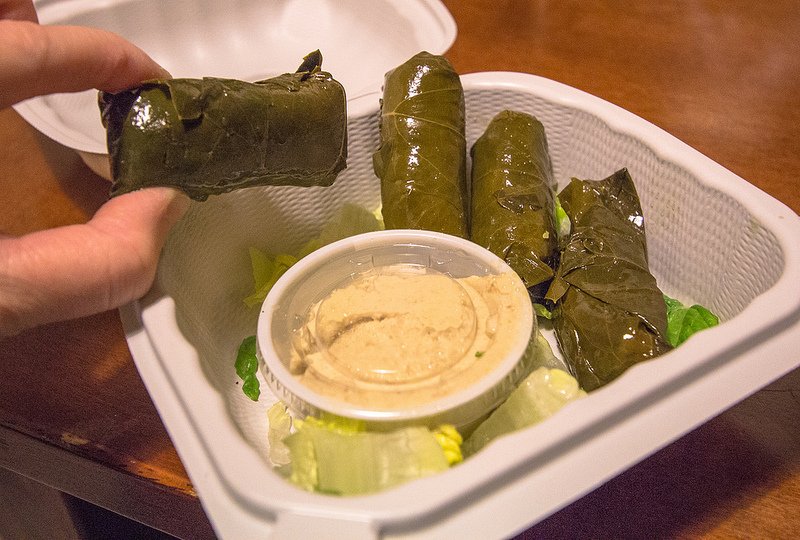 Jaffa Café called this vegetarian appetizer “Grape Leaves w/ Hummus”. The chef said the appetizer is prepared using the Greek method of using grape leaves, whereas the stuffing is Mediterranean.